You may be shocked to realize that even with all the copyright protection going on with streaming audio and all these crazy formats that try to keep anyone from making copies… can be bypassed very easily. 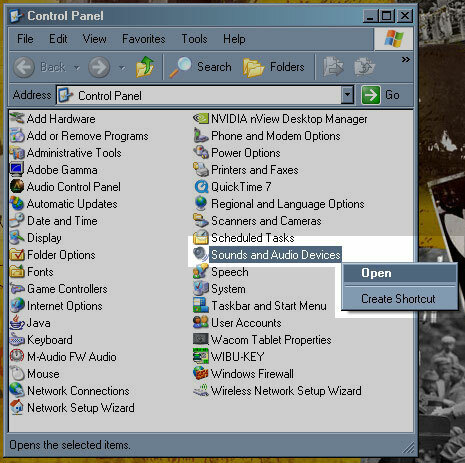 This will show you how to record anything… audio from a DVD, streaming MP3s from the internet, anything that you can hear on your computer can be recorded.. but even better, it can be recorded digitally. This article is based on a Soundblaster or equivalent sound card. This is better than actually recording from a DVD player, or even extracting audio from a DVD, since that usually takes a while to do, and it requires a decent amount of space and RAM. 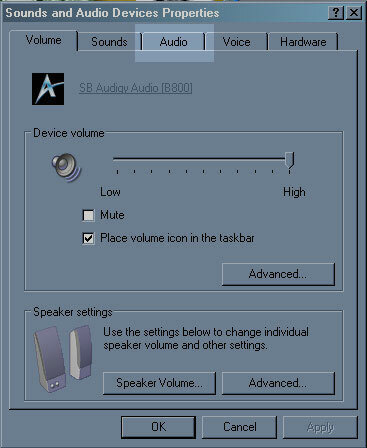 When the window opens, select the audio tab. 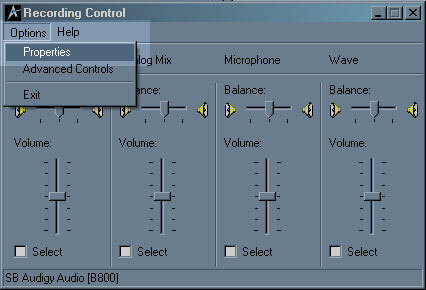 Under “Sound Recording” click the Volume button. 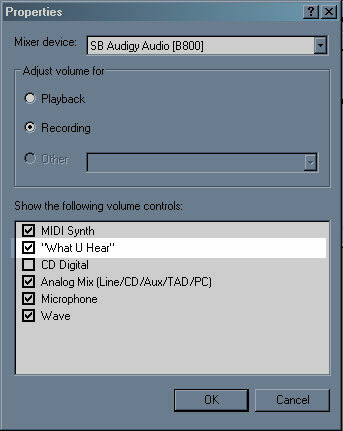 If you don’t see an option listed called “What you hear” or “Stereo Mix” then select Properties from the Options menu. 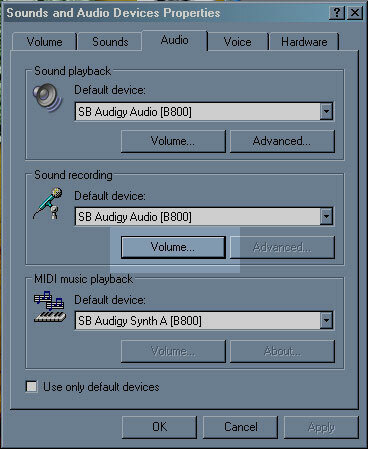 Select the “What U Hear” or “Stereo Mix” entry for recording, and then click OK.
Now you should have “What U Hear” or “Stereo Mix” as an option (What U Hear is Soundblaster specific), so select it. With that selected, it will literally record anything that is played through your speakers. 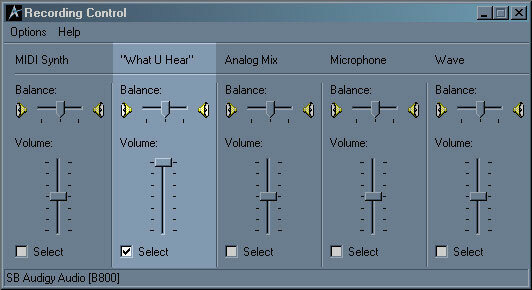 Just open up your sound recording software of choice (Soundforge, Audition / Cool Edit, Cubase, Sonar, whatever). This should help lots of you out that have been struggling with recording audio from DVD… instead of messing with surround sound / AC3 files, you can record everything right to a .WAV file… same with streaming radio stations, mp3s, like I said, anything. That’s a good little trick been doing this one for a minute. It will change with other sound cards but the technique is basically the listen. With most Maudio sound cards you are going to have to pick a channel you want the recording channel to be listen too.